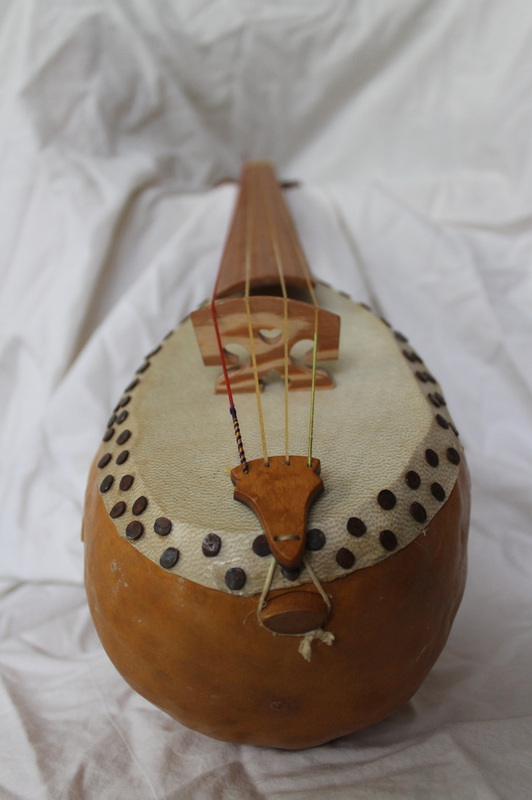 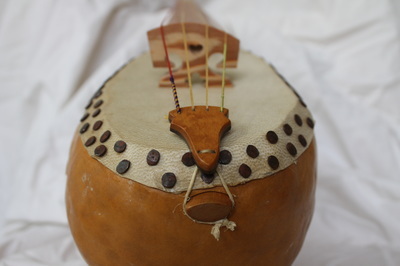 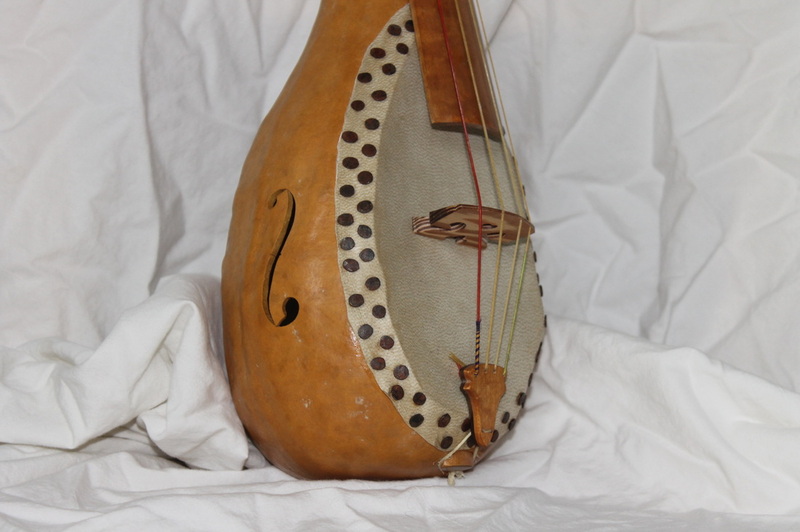 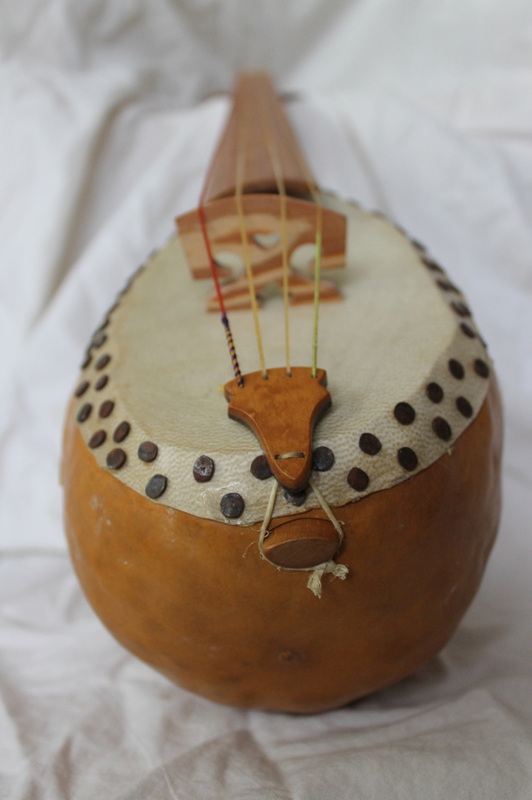 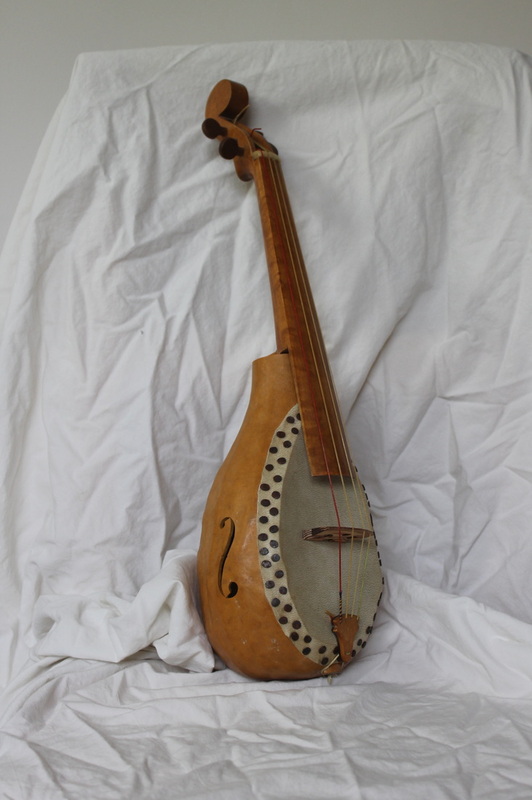 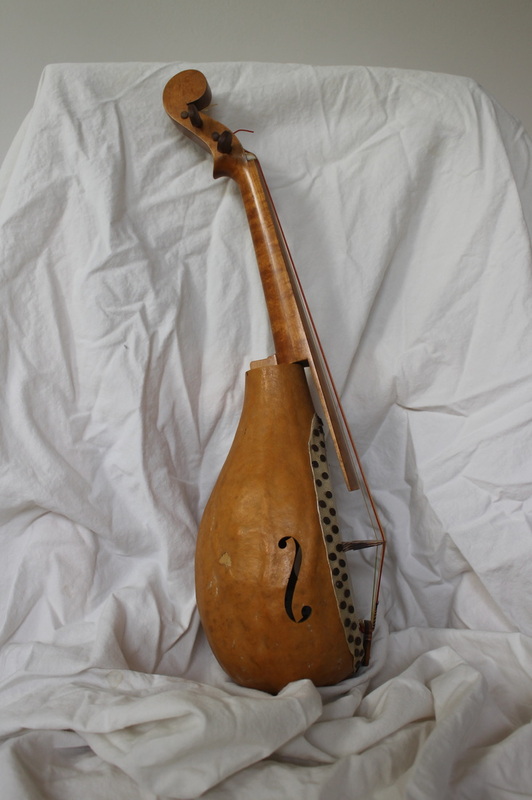 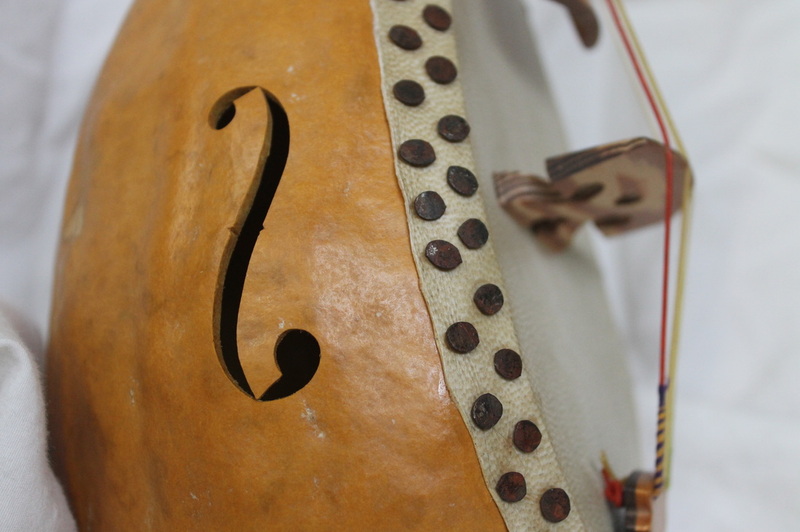 There are two existing vintage gourd fiddles made with banjo-like skin sound boards: one in the Smithsonian institution and one in the collection of the Blue Ridge Institute. Both are constructed on a very similar plan, and are also similar to many of the earliest pictured banjos. 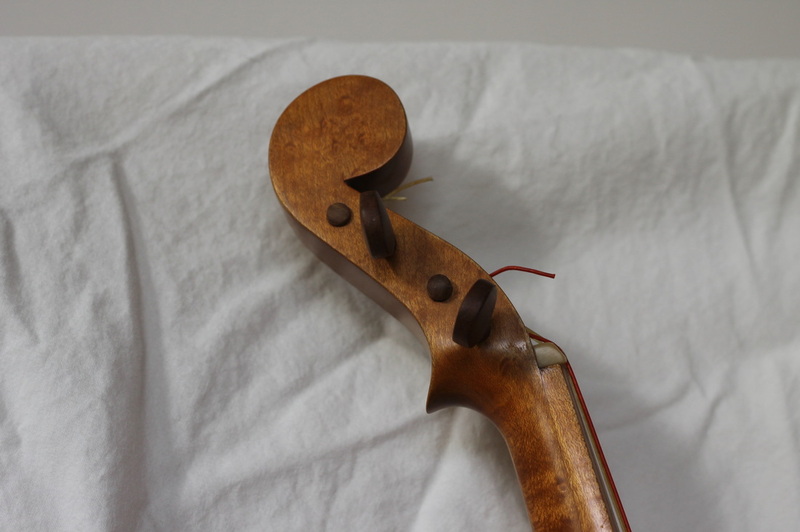 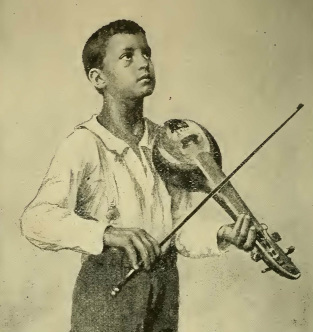 Pete Ross has meticulously studied the instrument in the Smithsonian's collection and reproduced it, although it is generally more refined and dimensioned for contemporary players.